MAKE YOUR SELECTION USING THE RADIO BUTTON BESIDE THE MEMBER NAME THEN SCROLL DOWN AND HIT "SUBMIT" TO CAST YOUR VOTE! I feel she deserves a second chance, so Id like to nominate TREK97's little cl100 "piglet". 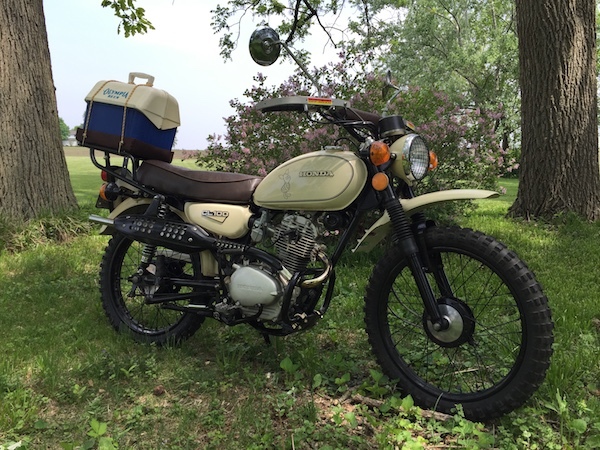 I've seen this little tike in person, and she's a real sweetheart, and also a neat story of a little bike that's been in his family being saved. A second for the 'piglet'! How about a battle of the 100's? However, even after downsizing the front sprocket for offload use.